The North Port Connectors provide access from Venice to North Port thru Sarasota County's conservation lands. 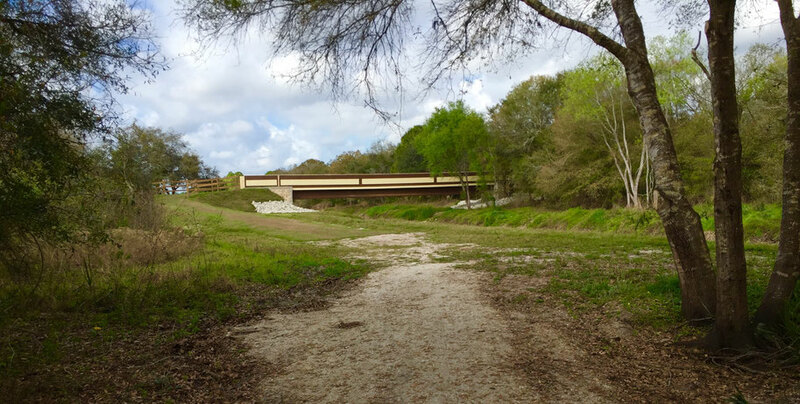 The NP East-West Connector Trail creates a recreational corridor from the Legacy Trail to the Carlton Reserve and along the South Powerline to Myakkahatchee Creek Environmental Park. The connection from MCEP to the South Powerline has been enabled by a ped/bike/equestrian bridge that was completed in September 2016. An additional route connects Venice to Deer Prairie Creek Preserve via Border Road, South Moon and Forbes Trail extension. These connections facilitate a 30+ mile long loop connecting the Carlton Reserve, MCEP, Warm Mineral Springs and Deer Prairie Creek Preserve. The NP East-West Connector Trail and the Carlton, MCEP, WMS, DPC NPC loop are detailed in the menu selections. Mayakkahatchee Creek Environmental Park Bridge.